Owned and operated by award winning taxidermist and wild life artist Bob Nielsen. Quality matters to me. 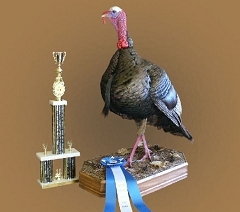 1st Place Turkey, State champion, Masters Division, 2011 State Show. 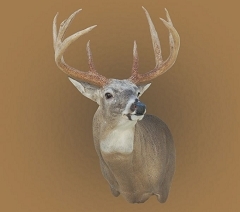 RN Taxidermy is a full service Michigan state and Federal licensed taxidermist. I have been a taxidermist since 1996. I can mount anything from a squirrel to an elk, from a blue gill to a salmon. I have fished and hunted in Michigan since I was a young boy and am very familiar with the wonderful array of fish and animals Michigan has to offer. 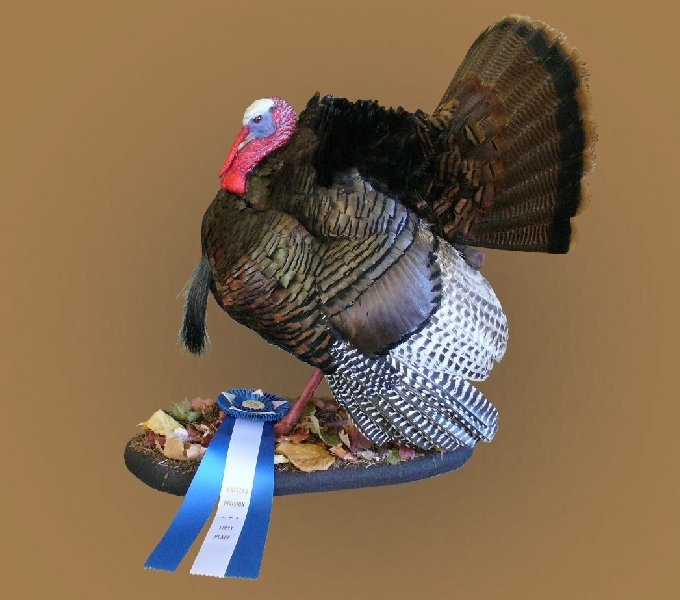 I became a taxidermist because I wanted to be able to do the taxidermy work on my own mounts. I joined the Michigan Taxidermist Association to become a better taxidermist. 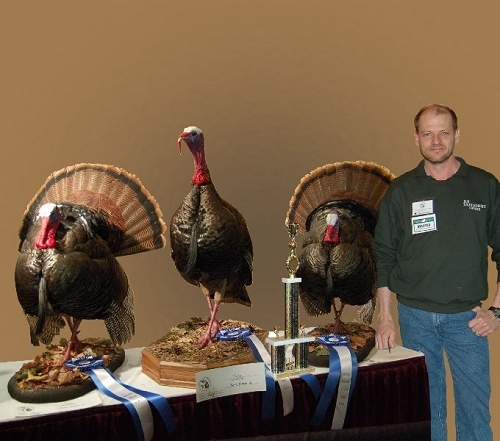 I compete at the Michigan Taxidermist Association state shows in the professional, and masters division, so that I am always on the cutting edge with the newest products and techniques available. 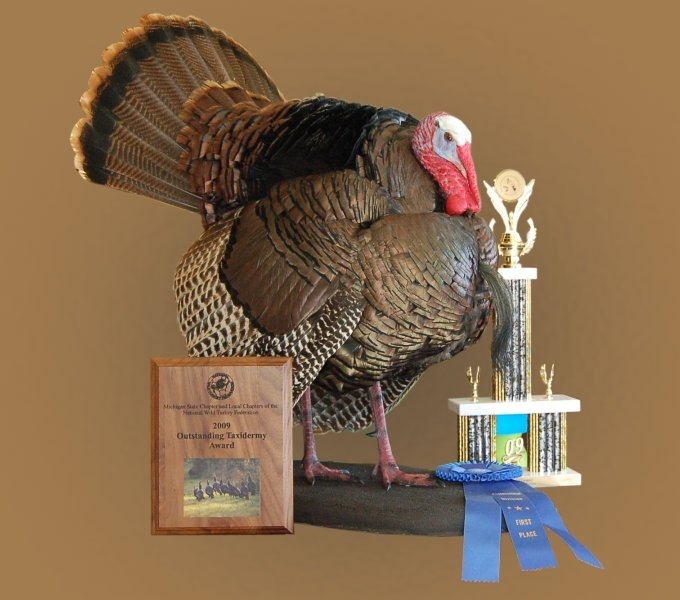 I will provide life like, anatomically correct, and good looking results with your trophy. 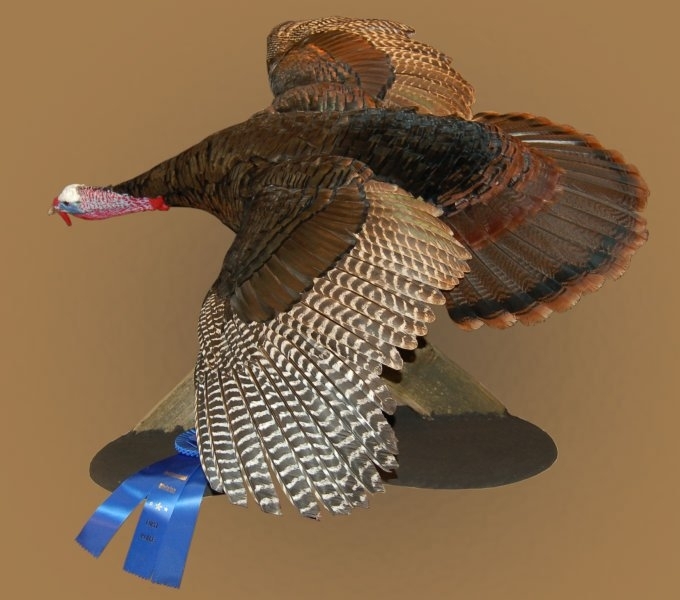 By competing at the Michigan Taxidermy Association shows, at the professional and masters level, I am able to insure that my customers receive the highest quality taxidermy work that will last a lifetime. I strive to bring the life back into the trophy you are so proud of. Plus I put my name and reputation in every mount I do. 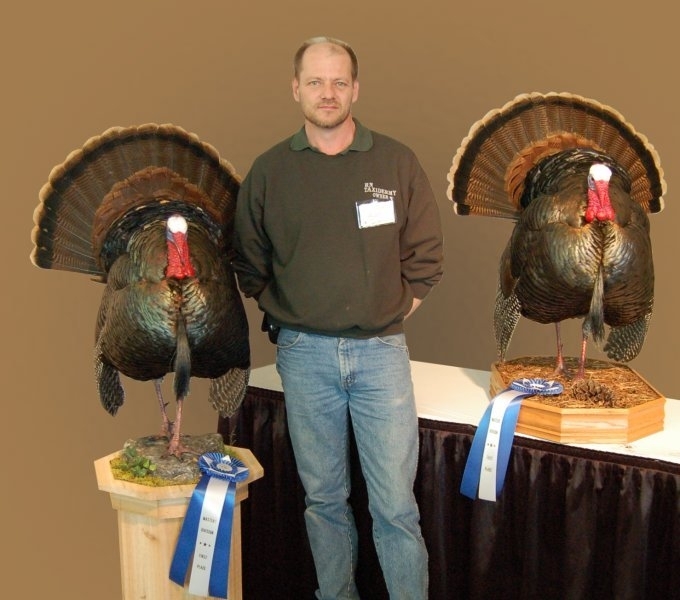 If you are looking for a new taxidermist, contact RN Taxidermy in Davison Michigan to schedule an appointment. You won’t be disappointed. Servicing: Atlas, Burton, Capac, Clio, Columbiaville, Davison, Dryden, Fenton, Flint, Flushing, Genesee, Goodrich, Grand Blanc, Hadley, Holly, Imlay City, Lapeer, Linden, Metamora, Mt. Morris, Swartz Creek, all of Michigan, and all around the United States. 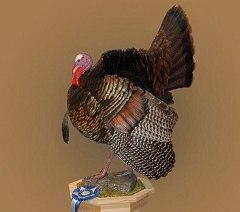 1st place standing turkey 2010, Masters division. State champion. 2010 State show.